Impact of the 2016 Household Projections, compared to the 2014 Household Projections on the standard method for calculating local housing need across England, by all regions, and top 5 increases and decreases by county. DLP Planning Ltd (DLP) working with be1 Architects has secured a resolution to grant outline planning permission for 18 dwellings, including affordable housing, on the edge of a village in South Cambridgeshire. The application was submitted following extensive pre-application discussions with the Council, which included a Design Workshop with key Council Officers. The proposal represents a low density scheme and would provide a spacious layout with an area of public open space and play area. Members spoke favourably of the scheme recognising that it has been sensitively designed and relates well to surrounding development and the edge of the village. The site also lies adjacent to a Grade II Listed Building and Council Officers agreed that the scheme would preserve the setting of this listed building. The Council accepted that they cannot demonstrate a five year land supply and therefore the application should be considered in the context of the presumption in favour of sustainable development. DLP successfully demonstrated that the proposal would make a positive contribution to the housing need in the area and that there are significant benefits that would outweigh any limited harm. This includes the provision of new housing, including affordable housing; benefits to the local economy; the provision of public open space; and contributions towards the widening of a footway in the village. DLP (Planning) Ltd would like to thank those from Harworth Estates, HLM, Bond Dickinson, Nabarro, Architectural Innovations and Counter Context who joined us for the Annual HBF Yorkshire Conference and Dinner last night. The event, was chaired by the HBF Regional Chairman, Jolyon Harrison, speeches from Peter Andrew, Huw Bowen, Oliver Knight and Jenny Herdman and John Slaughter provided the latest insights into the house building market following Brexit. What was clear was that the housing crisis which has been building up over decades remains and that significant measures will be needed to boost the delivery and supply of housing in line with Government targets for new homes delivery. This also needs to be viewed in the wider context of providing access to homes for a growing and changing population as well as supporting economic aspirations. 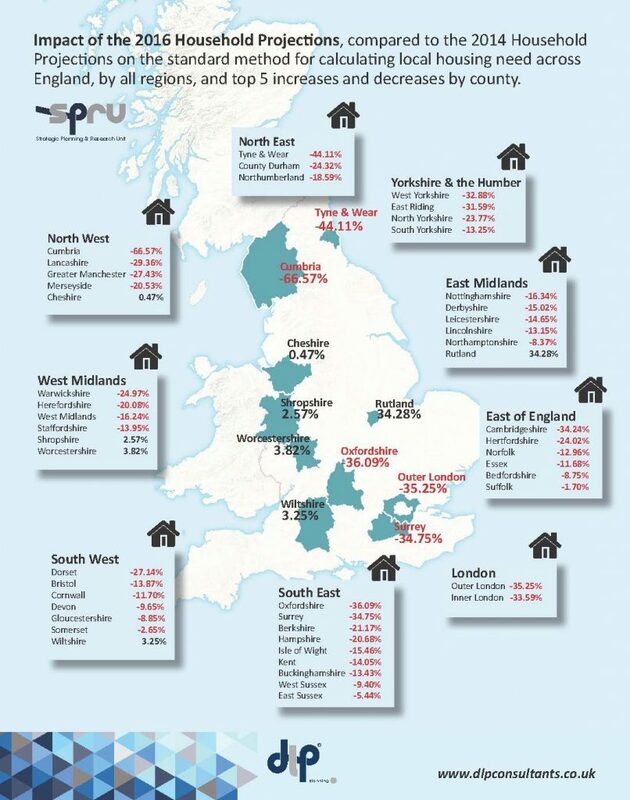 Oliver Knight’s review of the latest Knight Frank information was telling however in respect of the continuing disparity between regional price growth in houses from London, the south east and the south when compared to other areas. Emphasis was given to housing being at the forefront of the political agenda and the effects of improved policy environments was being felt by the industry. Schemes such as Help To Buy and Home Builders Fund would need to have certainty to them to deliver the benefits anticipated of them. There was unanimous support for small and medium size housebuilders and the housing white paper due to be published later this year will set out the Government focus in that regard. Going forward there remains particular uncertainty about the implications that Brexit will have on the country and of course the house-building industry but the message is clear, more homes need to be built to meet the chronic under-supply that has taken place over the last few decades. The opportunity to push forward the housing growth agenda can have wide-scale economic and social benefits which need to be recognised and balanced in making planning decisions.